Easter is just around the corner so I thought I'd design my first FREE printable for you. 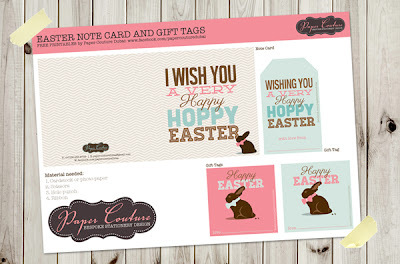 All you need is card stock paper and a printer and voila, you will have cards and gift tags you can use when visiting friends this Easter! Just click on the link below to download.